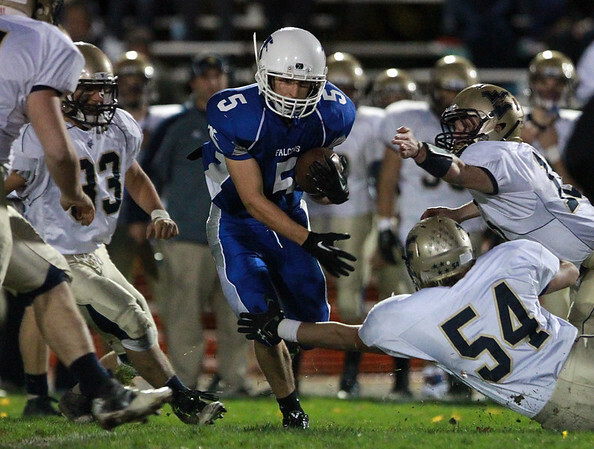 Danvers senior captain Cris Valles (5) breaks through the Winthrop defense on Friday evening. DAVID LE/Staff photo. 10/24/14.